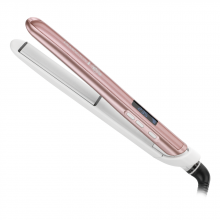 Remington’s Air Plates are the world’s first hair straightener with suspended plate technology designed to style every strand in just one stroke. 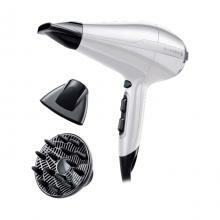 In contrast to traditional straighteners, this unique design leaves no gaps, maximising contact with every hair. 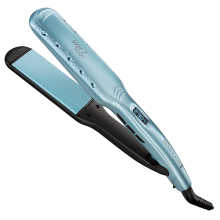 With every glide of the straightener, the ground-breaking suspended plates adjust, taming every strand and ensuring hair does not require repeat straightening – ensuring styling is as quick and efficient as ever.As the suspended plates don’t touch the outer surface of the straightener, the casing remains cooler than a standard straightener, allowing you to grip it with both hands to easily create curls and waves, as well as super straight styles.The plates are coated with three times longer lasting Black Titanium Ceramic for twice as smooth a glide*, making straightening a pleasure, and ensuring you can create a frizz-free, sleek look with ease. 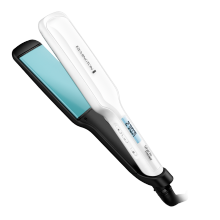 Remington’s innovative Air Plate technology uses suspended plates to ensure you capture every hair on the first stroke. This unique feature also means the outer casing remains cool, allowing you to use both hands to twist and turn the straightener to easily create a curl or wave. This unique compact product allows you to take this technology on the move – whether you’re on holiday, at the gym or in the office. Smaller size doesn’t mean you need to compromise on styling ability. Despite being significantly smaller in size, the bulk has been taken from the handle and not the plates, which are the same 100mm length as the full size product. Don’t spend hours styling with miniature plates on holiday – with the Air Plates Compact, you’ll be ready to go in no time.